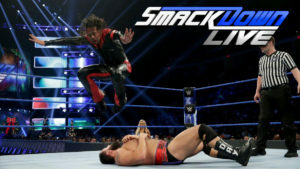 Rusev challenges Shinsuke Nakamura for the US Title on a good episode of SmackDown Live that also featured Samoa Joe versus Jeff Hardy, Mustafa Ali versus Andrade Almas, and a big eight man tag team match. 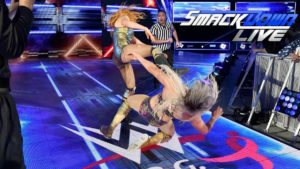 While there was nothing really new on tonight’s SmackDown, it was an okay show. 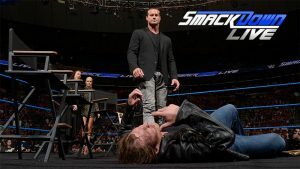 Two men qualify for the WWE World Cup, Becky Lynch and Charlotte attempt to destroy each other in a title rematch, Aiden English is caught in a lie, The Miz tries to get between AJ Styles and Daniel Bryan, and more on a pretty good episode of SmackDown Live. 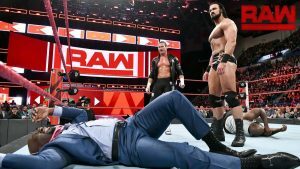 Styles attempts to focus on Almas, Kingston tries to survive Cesaro, Rusev seeks the US Title, Becky Lynch is honored as the new champ on a good episode of SmackDown Live. 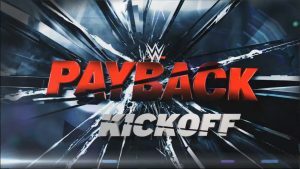 Jeff Hardy faces Daniel Bryan, two more women qualify for Money in the Bank, new contenders for the tag titles are named, and New Day refuses to answer Miz’s questions on a good episode of SmackDown Live. 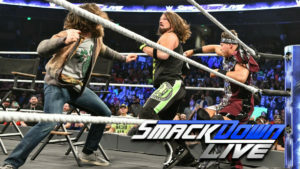 The last SmackDown before Backlash was light on wrestling, but it did have a couple of matches definitely worth checking out. 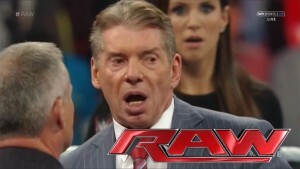 The Superstar Shakeup brings the promise of new feuds, though this episode of RAW was more about spectacle than action. 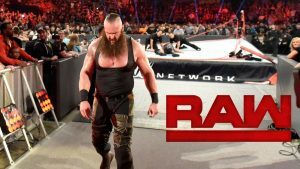 While a little light on wrestling, this show featured some interesting story developments as well as a great main event between Seth Rollins and Bray Wyatt. 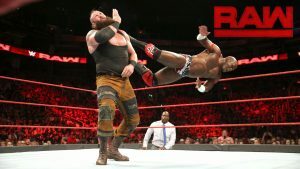 Braun Strowman finds competition within Titus Worldwide, Cesaro challenges Finn Balor in a great bout, Heath Slater works his way into the IC Title picture, and more on a really good episode of RAW! 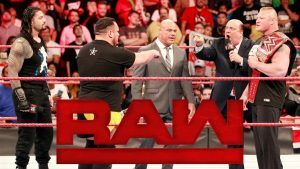 A new number one contender for the RAW Women’s Title is decided in a gauntlet match on an episode of RAW that also featured a great segment where Enzo Amore tried to reason with Big Cass after their apparent breakup last week. An okay show highlighted by a memorable (if somewhat recycled) moment. A pretty good show that does well to build (or at least maintain) some interest in Summer Slam, specifically the big matches. This, the last taped SmackDown for a while, was entertaining enough and managed to maintain and build interest in the upcoming Battleground. The last RAW of 2015 saw the much-needed return of John Cena. Did he help make the show a memorable one? Also, the Rumble starts on this show, Reigns continues to stand around while stuff happens, and Kofi wants to fight children. Wherein a new faction is formed and a legend returns!